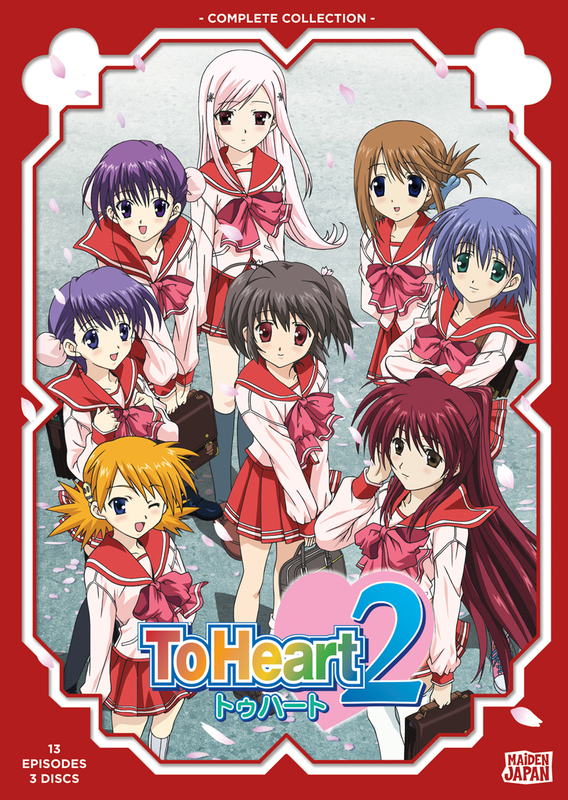 To Heart 2 contains episodes 1-13 of season two. Sometimes life leads us in circles. Sometimes it takes us on strange detours. Takaaki and Konomi have been friends since they were kids, but now that they're in high school, Takaaki's finding out the fact that he's a boy and she's a girl can change everything, especially since there are a lot of other attractive girls who are also suddenly demanding his attention. Between the Himeyuri twins: electronics geek Sango and brash Ruri; the awkward class representative Manaka; mystery loving Karin; mountain biker Yuma; the mysterious Yuki; and even Lucy, who's convinced that she's an alien, Takaaki's not sure which way to turn. And when his OTHER female childhood friend, Tamaki, arrives having changed so much from attending an exclusive boarding school that the others barely recognize her, things are really going to get romantically complicated!